It is easy to operate with a small volume. Widely used in the field of small-scale architecture and decoration for mixing mortar, cement and feeds etc. Fold-able frame for easy stock and transportation. Easy to operate; stable performance; low energy consumption. Reasonable structure, higher reliability, even mixing and high productivity. As a leading manufacturer of concrete mixers, our target is to supply high-quality homemade concrete mixer to worldwide clients. In all machines, the small sized concrete mixers are sold best. 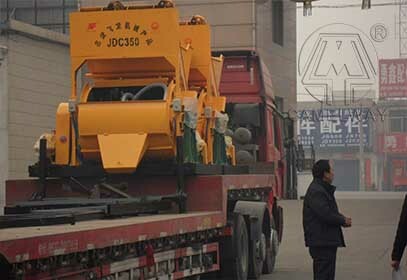 Due to its small and compact structure, the small cement mixer enjoys a good reputation and is accepted by most of foreign customers. If you want to know more information about the concrete mixing station construction equipment, please pay attention to our official website. Welcome to contact us.